Draft: 2010, Kansas City Royals, 6th rd. Scott Alain Alexander…played at Pepperdine University where he earned West Coast Conference All-Freshman team honors in 2008…transferred to Sonoma State before the 2009-10 academic year… graduated from Cardinal Newman High School in Santa Rosa, CA in 2007 where he set school records for career strikeouts and single-season strikeouts…older brother Stuart pitched in the Marlins organization from 2004-09 and younger brother Jason currently pitches in the Angels organization…selected by the Cincinnati Reds in the 37th round of the 2007 First-Year Player Draft but did not sign…later selected by the Kansas City Royals in the sixth round of the 2010 First-Year Player Draft. Spent majority of the season in the big leagues with the Royals, setting career-highs in wins (5), saves (4), games (58), innings (69.0) and strikeouts (59), while posting a career-low 2.48 ERA (19 ER/69.0 IP)...Posted the second highest ground ball percentage among Major League relievers (73.3%), also ranked among American League relievers in opponents grounded into double plays (13, 2nd), grounded into double play percentage (22.4%, 3rd) and ERA (12th)...ranked among Major League rookie relievers in ERA (2nd), saves (3rd) and wins (T-4th)...Limited batters to a .215 average with runners in scoring position...Inherited 54 runners, which tied for fourth most in the big leagues and the most among ML rookies, while allowing just 12 to score (22.2%, T-13th, AL)...allowed just three homers over 69.0 innings, posting 0.39 home runs per nine innings (T-8th, ML)...Recorded his first big league win on July 2 vs. Minnesota with 2.0 scoreless innings of relief...also earned his first career save on Aug. 22 vs. Colorado, retiring the final batter of the game on two pitches to leave the bases loaded...Placed on the 10-day disabled list from May 8-June 7 with a right hamstring strain. Spent the majority of 2016 with Omaha (AAA), going 2-0 with a 3.00 ERA (10 ER in 30.0 IP) in 22 appearances with the Storm Chasers...Had two stints with the Royals, posting a 3.32 ERA (7 ER in 19.0 IP) in 17 outings overall...Posted a 4.85 ERA (7 ER in 13.0 IP) and .294 opponents' average (15-for-51) in nine outings during his first stint in Kansas City from May 12-June 10...Matched a career high with 3.0 scoreless innings on May 15 vs. Atlanta in Kansas City's 4-2 win in 13 innings…pitched the 10th, 11th and 12th innings, retiring nine of 10 batters...Recalled again on Aug. 31…made eight scoreless appearances through the end of the season (6.0 IP), despite yielding a .360 opponents' average (9-for-25) and allowing all six of his inherited runners to score. Spent a majority of the season with Triple-A Omaha, but had his contract selected by the Royals on September 1 and pitched the final month of the year in the big leagues...Made his Major League debut on September 2 against Detroit and tossed a perfect inning...finished the season with 6.0 innings and a 4.50 ERA, striking out three and allowing three free passes in four appearances...Named the Omaha Pitcher of the Year after posting a 2.56 ERA (18 ER in 63.1 IP) with a 2-3 record in 41 appearances...With Omaha, posted a 1.65 ERA over his first 31 appearances (9 ER in 49.0 IP)...however, he was 1-3 with a 5.65 ERA (9 ER in 14.1 IP) over his final 10 outings with the Storm Chasers. Split time between Lexington (A), Wilmington (A-Advanced) and Northwest Arkansas (AA), making a career-high 24 appearances for the Naturals...also set career highs in innings pitched (75.0) and strikeouts (77) between his three stops...Tied for 11th in the Texas League with eight holds, despite making his debut at Double-A on June 15...held lefthanded hitters to a .124 batting average (11-for-89)..Recorded the second-most innings in the minor leagues without allowing a home run (75.0)...only Toronto farmhand Jeremy Gabryszwski (Vancouver) threw more homerless frames (76.2). Pitched in a combined 11 games (seven starts ) with Rookie-level Arizona Royals and Single-A Kane County, going 2-4 with a 2.52 ERA (10 ER/35.2 IP)...struck out 31 batters and limited the opposition to a .248 average. Missed the 2011 season after surgery on his left shoulder. Began his professional career with Rookie-level Idaho Falls, going 1-6 with a 5.73 ERA (35 ER/55.0 IP) and striking out 41 batters against 22 walks. May 9, 2018 Los Angeles Dodgers recalled LHP Scott Alexander from Oklahoma City Dodgers. 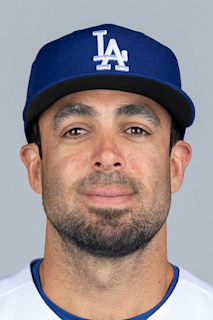 April 29, 2018 Los Angeles Dodgers optioned LHP Scott Alexander to Oklahoma City Dodgers. June 7, 2017 Kansas City Royals activated LHP Scott Alexander from the 10-day disabled list. May 26, 2017 Kansas City Royals sent LHP Scott Alexander on a rehab assignment to Omaha Storm Chasers. May 9, 2017 Kansas City Royals placed LHP Scott Alexander on the 10-day disabled list retroactive to May 8, 2017. Right hamstring strain. April 12, 2017 Kansas City Royals recalled LHP Scott Alexander from Omaha Storm Chasers. March 27, 2017 Kansas City Royals optioned LHP Scott Alexander to Omaha Storm Chasers. August 31, 2016 Kansas City Royals recalled Scott Alexander from Omaha Storm Chasers. August 10, 2016 Omaha Storm Chasers activated LHP Scott Alexander from the 7-day disabled list. July 23, 2016 Omaha Storm Chasers sent LHP Scott Alexander on a rehab assignment to AZL Royals. July 7, 2016 Omaha Storm Chasers placed LHP Scott Alexander on the 7-day disabled list retroactive to July 5, 2016. June 11, 2016 Kansas City Royals optioned LHP Scott Alexander to Omaha Storm Chasers. May 12, 2016 Kansas City Royals recalled Scott Alexander from Omaha Storm Chasers. March 23, 2016 Kansas City Royals optioned LHP Scott Alexander to Omaha Storm Chasers. November 2, 2015 Scott Alexander roster status changed by Kansas City Royals. October 8, 2015 Kansas City Royals reassigned LHP Scott Alexander to the minor leagues. September 1, 2015 Kansas City Royals selected the contract of LHP Scott Alexander from Omaha Storm Chasers. January 26, 2015 Kansas City Royals invited non-roster LHP Scott Alexander to spring training. October 17, 2014 LHP Scott Alexander assigned to Gigantes del Cibao. July 22, 2014 LHP Scott Alexander assigned to Omaha Storm Chasers from Northwest Arkansas Naturals. January 9, 2014 Kansas City Royals invited non-roster LHP Scott Alexander to spring training. June 14, 2013 LHP Scott Alexander assigned to Northwest Arkansas Naturals from Wilmington Blue Rocks. April 26, 2013 Scott Alexander assigned to Wilmington Blue Rocks from Lexington Legends. September 27, 2012 Scott Alexander roster status changed by Lexington Legends. July 24, 2012 sent LHP Scott Alexander on a rehab assignment to AZL Royals. June 22, 2012 Kane County Cougars placed LHP Scott Alexander on the 7-day disabled list. March 30, 2012 LHP Scott Alexander assigned to Kane County Cougars from Idaho Falls Chukars. September 19, 2011 Scott Alexander roster status changed by Idaho Falls Chukars. June 27, 2011 Idaho Falls Chukars placed LHP Scott Alexander on the 60-day disabled list. June 20, 2010 LHP Scott Alexander assigned to Idaho Falls Chukars from Kansas City Royals. June 19, 2010 Kansas City Royals signed LHP Scott Alexander.